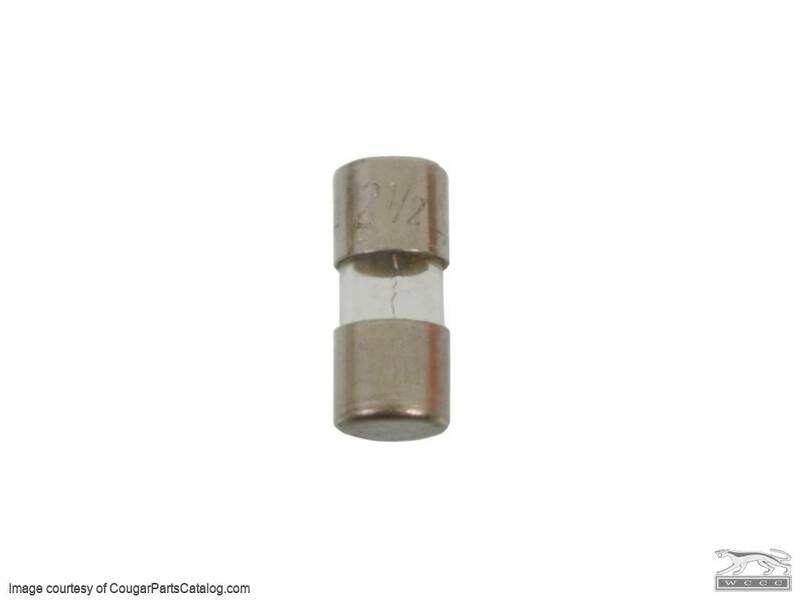 New 2.5 amp Buss style glass tube fuse for the Mercury Cougar or Ford Mustang. This fuse was used for 1967-68 only and is used for the instrument panel, clock and ashtray lights. This unit measure about 5/8" long and is sold individually. Perfect Replacement. Could not find these fuses in any local automotive store. It is getting very difficult to find this size/amperage fuse. Thanks for stocking these WCCC. Correct fit, thanks WCCC Staff for carrying this product as they are very hard to find.